User has more than one monitor and each monitor has different resolution. 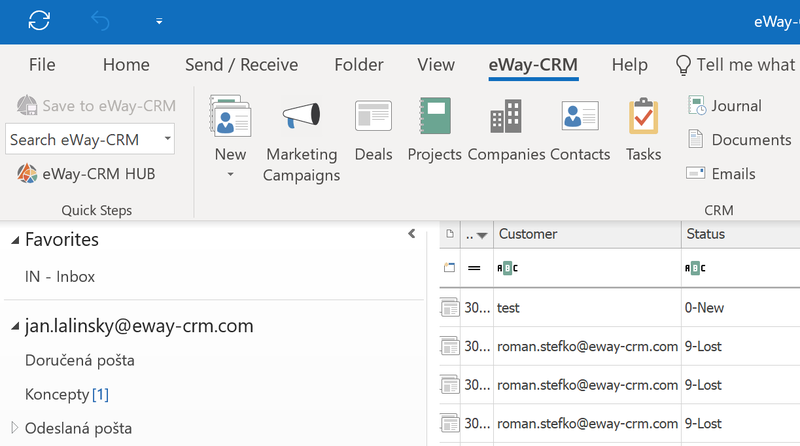 When he or she moves Microsoft Outlook window with eWay-CRM from one monitor to another, it can caused inconsistency in displayed fonts and their sizes. Font size in the list is different from the font size in the ribbon or other Microsoft Outlook parts. 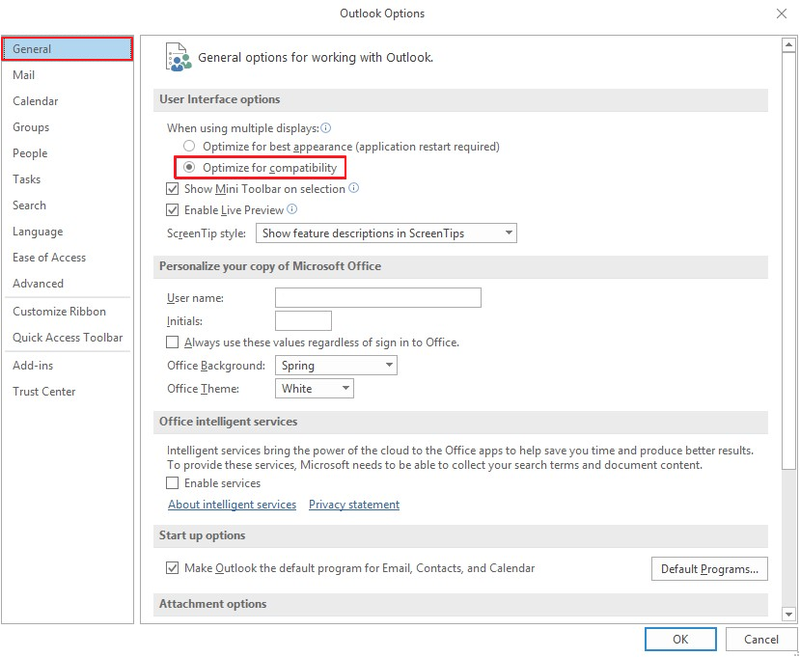 On the bottom of Microsoft Outlook window, you can click Display Settings and select Optimize for compatibility. Click File tab and then select Options. 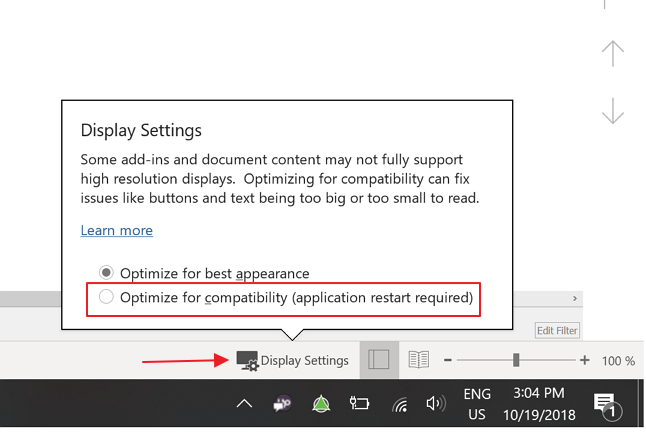 In General section, go to User Interface options and click Optimize for compatibility. Now, font display should be correct.